I love toys that encourage imaginative play. With my girls, we love to pretend we're in a fairy world with princesses and unicorns. But with my son, we like to go on all sorts of grand adventures. Sometimes we're pirates on the high seas, sometimes we are climbing Mount Everest, and sometimes we're in the mist of a jungle on a wild safari. No matter what type of adventures your kids enjoy, the toys from Uncle Milton are a wonderful way to enhance your experience. For our review, we received the new Curl & Coil Snake Light, and my nine year old son thought it was awesome from the moment it slithered into our lives. The snake is very life like, and my son has already used it to scare his sisters and his grandmother on a few occasions. Frankie also likes to pretend its his pet and leaves it curled around his neck. 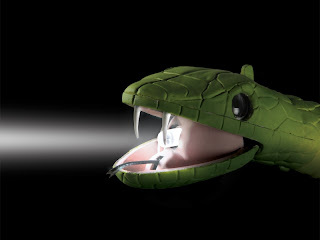 But the really cool part about this snake is that when its opens its mouth, instead of dripping poison venom, you will find a light to guide you along on on all your adventures. 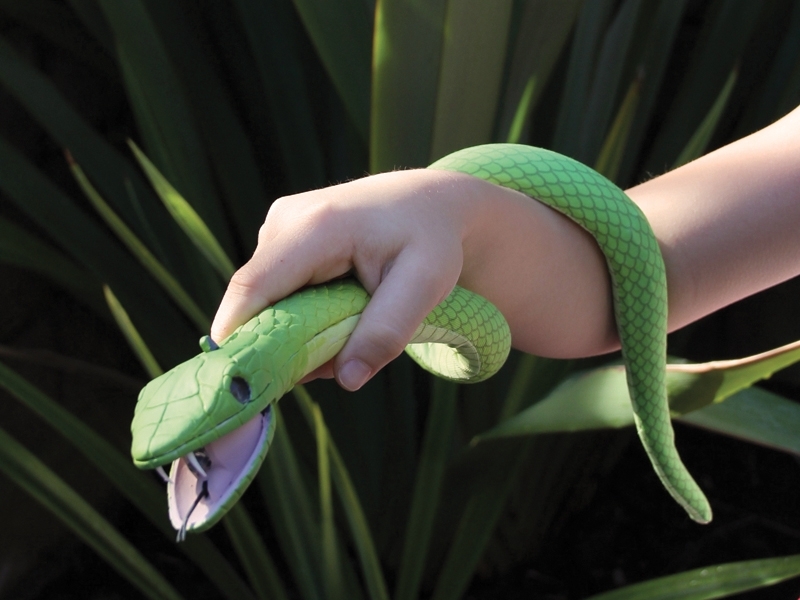 This fabulous toy is part of their National Geographic brand. Its loads of fun and just the right size for a stocking stuffer is you're looking to get a head start on holiday shopping! In addition to the Curl & Coil Snake Light, Uncle Milton also offers many other wonderful toys featuring themes like Star Wars, Ant Farm, Dinosaur Train and more. Any of these toys encourage imaginative play would make a great gift this upcoming holiday season. To see all that this fabulous company has to offer, you can visit their website. To keep with with new products and promotions, be sure to follow them on face book or twitter. So what are you waiting for? Check out Uncle Milton's Toys today and get your kids geared up and ready to explore their worlds, both real and imaginary.